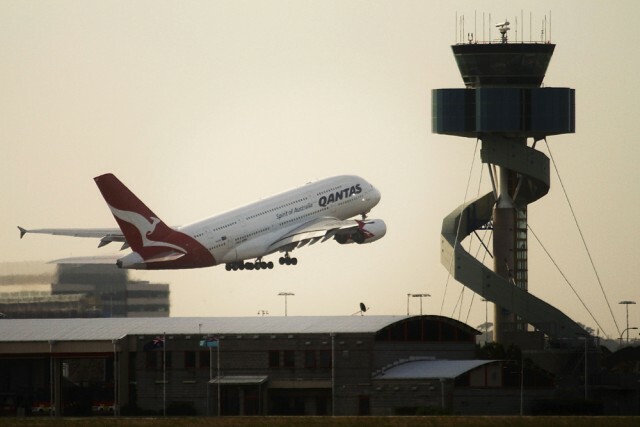 A Qantas A380 superjumbo takes off past at Mascot Airport in Sydney on Nov. 27. Australian investigators on Thursday identified the source of an oil leak that caused a superjumbo engine to blow apart. They said a suspected manufacturing defect in the Rolls-Royce engine was to blame.